K 3 Premium Home 16031830 https://www.kaercher.com/ae/home-garden/pressure-washers/k-3-premium-home-16031830.html K 3 Premium Home with T 150 surface cleaner + Patio and Deck (1/2 l), Vario Power spray lance, dirt blaster, spray gun (Quick Connect), water-cooled motor, detergent tank and 6 m hose. K 3 Premium Home with T 150 surface cleaner + Patio and Deck (1/2 l), Vario Power spray lance, dirt blaster, spray gun (Quick Connect), water-cooled motor, detergent tank and 6 m hose. 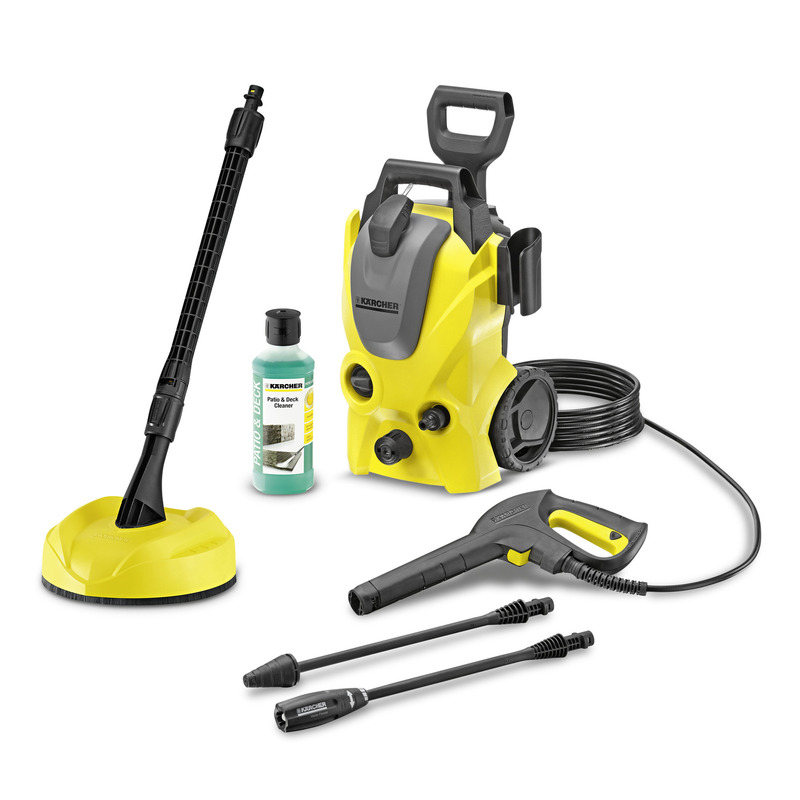 The K 3 Premium with Home Kit is the ideal pressure washer for occasional use around the house. Light dirt on cars, garden fences and even bicycles is easy to clean off. The K 3 Premium is fitted with a water-cooled motor. This powerful pressure washer also features a telescopic handle, spray gun with Quick Connect quick coupling, a 6 m long high-pressure hose and a water filter to protect the pump against the ingress of damaging small dirt particles. The water pressure on the Vario Power spray lance (VPS) can be adjusted precisely to the cleaning task and level of dirt simply by twisting, while a dirt blaster with rotating point jet removes even the most stubborn dirt. The Home Kit includes T 150 surface cleaner for splash-free cleaning of medium-sized surfaces and 500 ml of "Patio and Deck" detergent.